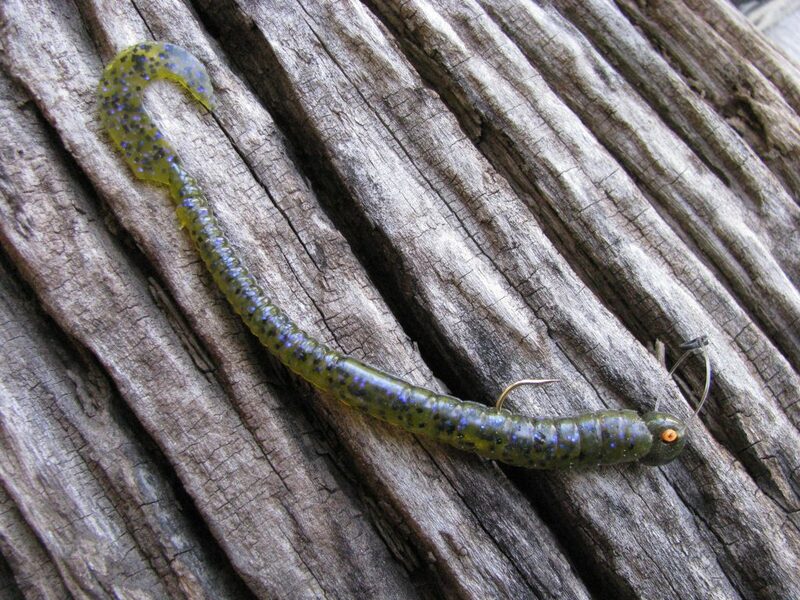 Since its emergence in the 1960s as a top bass catcher, the soft plastic worm has evolved in shape from the thin, straight version into a variety of styles. The shape and length of a soft plastic worm sometimes arouses a bass’ curiosity, but the action created by the worm’s tail probably draws strikes more than any other feature of this lure. 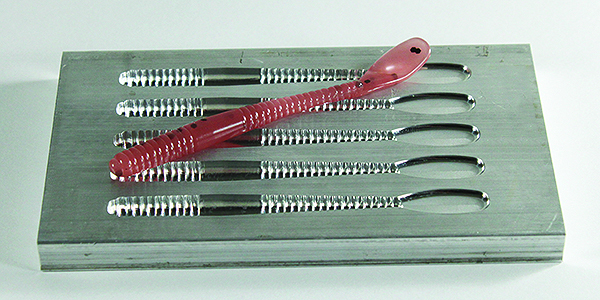 Soft plastic manufacturers are always designing new types of worm tails, but bass anglers generally stock their tackle bags with four basic tail shapes: ribbon or sickle, paddle, curly or hook and straight. While any plastic worm can catch bass, picking a worm with a certain type of tail for a specific situation will draw more strikes. You can pick the following types of worms based on the cover, structure and prevailing conditions you are fishing. This worm produces best from postspawn through summer. Throw the ribbon tail any time you are fishing in brush or grass. This worm’s tail resembles the swimming action of baby snakes, which are common on southern lakes. 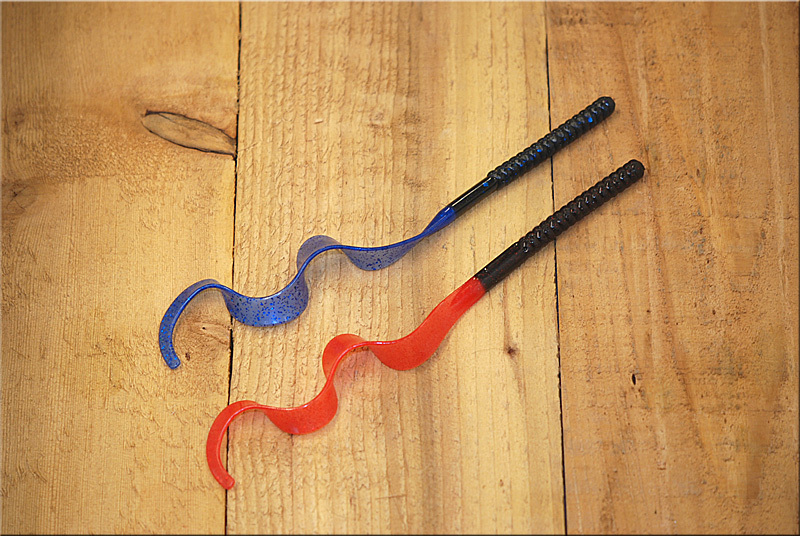 When selecting this style of soft plastic worm, opt for larger sizes in the 8- to 12-inch range. Rig it Texas style on a 5/0 worm hook with a 1/4- to 3/8-ounce bullet weight, which will help you get the worm down to structure quicker. Leave the sinker unpegged because the worm will swim better when falling free of the weight. The ribbon tail can be fished effectively in depths ranging from 10 to 25 feet. Retrieve this style of worm by slowly sweeping your rod upward, which causes the worm to hop off the bottom. Then lower your rod to allow the worm to flutter back down with its swimming action. This worm works best on the grass-filled Florida lakes or any other bodies of water featuring matted grass or lily pads. It is a great lure for swimming over the vegetation. If there are open pockets in the vegetation you can reel that paddle tail across the grass and let it drop into the holes. An 8-inch version of the paddle tail worm is easier to swim over vegetation, but you can catch more bass on a 5-inch model. The worm seems to swim best on the surface when Texas rigged with a 1/4-ounce sinker that you should peg to the lure. You need to have the right amount of weight to make the tail swim. The tail won’t swim right if you use too light of a weight and the worm will fall too fast if you use too heavy of a weight. The retrieve resembles a baitfish swimming across the top of the vegetation. Pop the rod to get the tail swimming and then reel it in steadily to cause the worm’s tail to flutter and put off plenty of vibration. When rigged correctly and retrieved at the right speed, you can actually feel the tail fluttering like a spinnerbait blade. The larger ribbon tail worm has replaced this model for many applications, but it is still a great lure for catching spotted bass. Try this style of worm when bass are holding over the top of submerged weeds or rock ledges. If bass are ignoring your 8- or 10-inch ribbon tail worm, scale down to the sickle tail worm as a finesse presentation to trigger more bites. Pick a 4- to 6-inch curly tail soft plastic worm and match it with a 1/8- or 1/4-ounce jighead with a weedguard. Swim the worm on 6- or 8-pound line over the top of moss from the shoreline to 15 feet deep. Let the worm skim over the top of the grass beds or barely reel it to let the worm kind of swim and dart up and down over the grass. This finesse-type soft plastic worm works best when Carolina rigging deep structure in the heat of summer or dead of winter. Try a 5- or 6-inch straight tail worm on a Carolina rig for probing depths down to 30 feet. When Carolina rigging this subtle worm, match it with a 1/2- or 3/4-ounce sinker. You can also attach the worm to a 1/8- or 1/4-ounce jighead for shaky head fishing throughout the year. 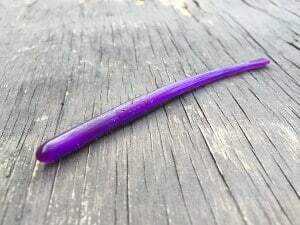 When everybody else is throwing ribbon tail worms in the brush during the summertime, try the straight tail worm to show bass a different subtle action. The straight tail tends to dart more like a darter minnow that’s feeding off the bottom. Retrieve the Carolina-rigged worm with a slow dragging motion to constantly keep the sinker in contact with the bottom. You can catch a lot of quality bass with this tactic on lakes that are barren of grass or other cover. These four basic soft plastic worm styles will catch fish year-round on any bass fishery throughout the country.